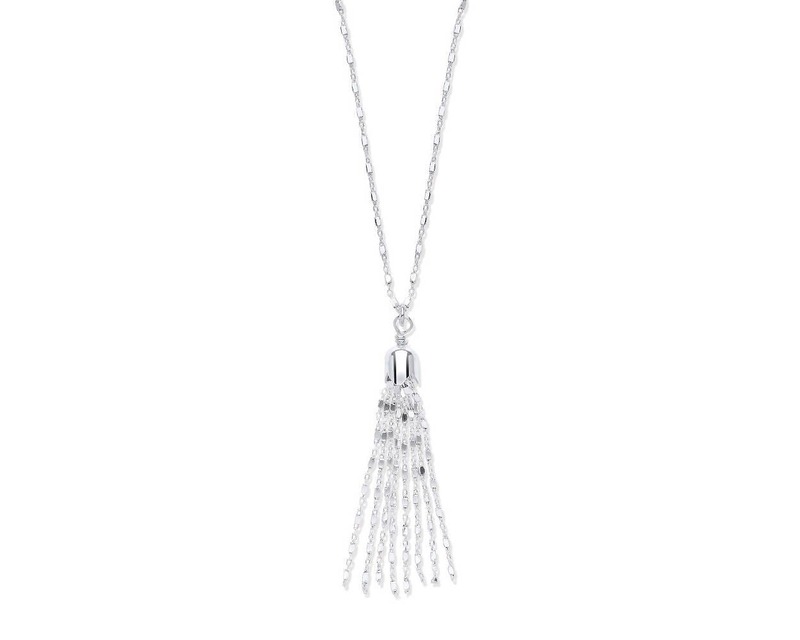 Create a thoroughly on-trend look with this gorgeous sterling silver diamond cut belcher chain necklace with box link chain tassel pendant. Lovely pendant on a very sparkly and unusual chain. Great quality at a good price!